blue lipsticks are very special. I know this is a trend at the moment, also grey Lips. In my eyes not everyone can wear it. Not a woman in my age. But for you of couse looks pretty nice. A me piace come idea anche se ci vedo molto più te che me con il rossetto blu, perché non provi? 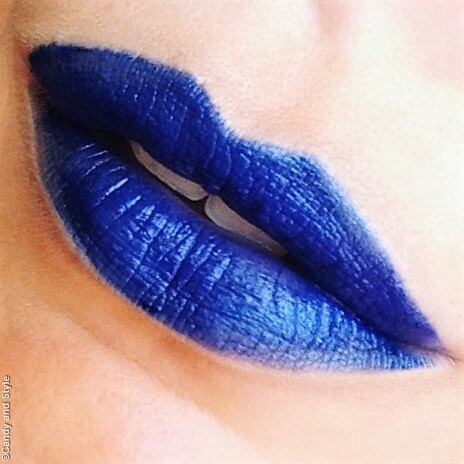 Hello Lilli, I've never tried to paint my lips in blue, I do not know if I would favor this tone, but I think it's a very funny trend, from time to time it's good to get out of the conventional! Kisses. Io sulle labbra non lo saprei portare, però mi piace tantissimo come rossetto! oh nice! I really want to finally dare to wear blue lips! Hi Lilli, I have only tried lipstick like this colour for a costume party, but I think for daily wear it is not for me. I like it on others though. Honestly, this is the first time that I’ve seen a blue lipstick. I don’t think it’s for me. But I’ve worn blue nail polish especially the Blue Boy from Chanel. I wouldn't wear it outside, but I would love it for a photo shoot. I wish i could dare to wear blue lipstick!